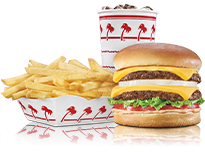 In-N-Out Burger - Porter Ranch, CA, 19901 Rinaldi St.. Welcome to our restaurant in Porter Ranch, CA. Sunday - Thursday 10:30 a.m. - 11:00 p.m.
Friday - Saturday 10:30 a.m. - 1:00 a.m.